All the makings of a sneak attack exist within this Shark Bundle for boys! 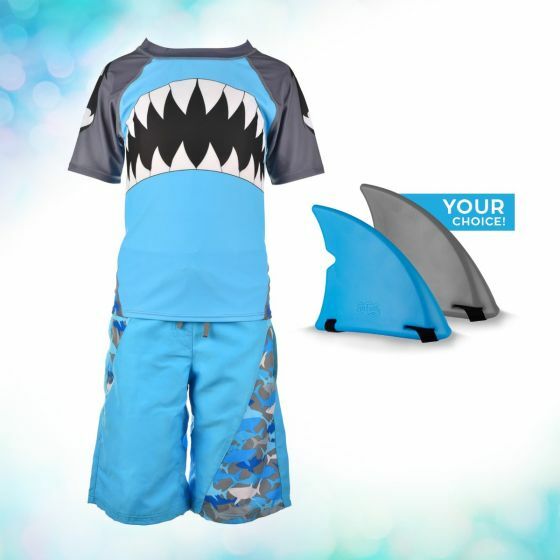 This 3-piece set features our shark-themed rash guard and board shorts made of premium fabrics, plus our best-selling shark fin. Shark fans need fins! 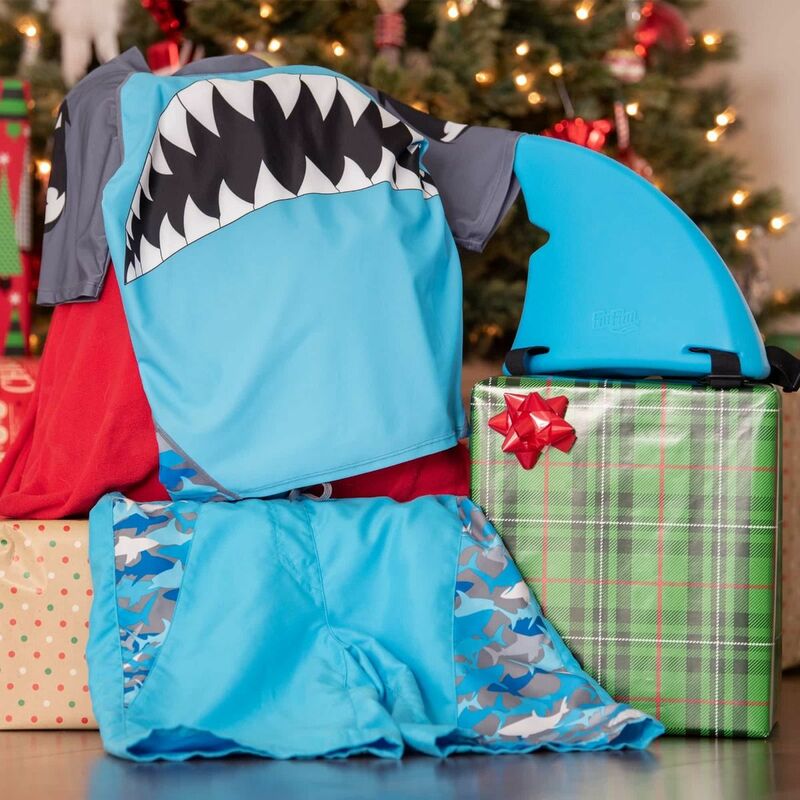 This gift set for shark enthusiasts includes the basic swim essentials needed for a full day of fun! Our premium-quality swimsuit set for boys includes a super-soft rash guard and lightweight board shorts lined with mesh fabric for the ultimate comfort. Plus, you’ll put mermaids on the alert the moment you strap the shark fin on your back and start searching for that perfect opportunity to surprise unsuspecting swimmers!